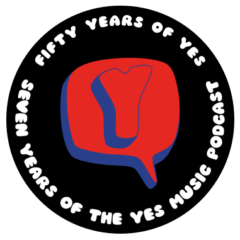 The one hundred and thirteenth episode of the Yes Music Podcast, featuring the new Steven Wilson remixes of Close to the Edge. Why would you fork out the money for a new version of Close to the Edge? How could the original be improved? What does 2013 technology add to the 70s classic? For a copy of the e-book guidelines, please see the full show notes. Your comments reflected my own observations, though I didn’t listen to the original as a comparison. It is great to have this version of America, I’ve not heard it in many many years, as I had it only on my LP of Yesterdays. I’ve not yet listened to the second disc, I got the blu ray edition, but our player is hooked up to the telly, with no surround sound. Regarding the ebook project, what a great idea. I gladly give you permission to use any of the material I submitted for the memories podcast. If you need anything specific, can you email me?